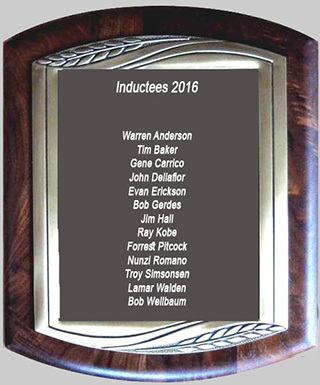 Jim Hall his DRHOF.com 2016 Inductee plaque. Several other team members were also on site. We have started the selection process for the 2016 inductees and the first person chosen is Annunziata Romano, better known in the racing community as Nunzi. 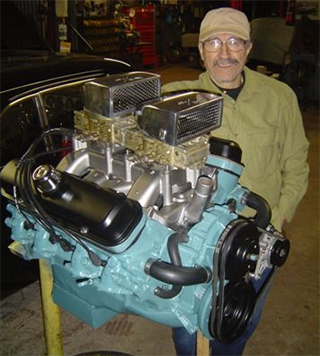 Nunzi is without a doubt one of the true throwbacks to the past specializing in the performance, tuning and development of Pontiac engines. Starting back in his shop in Brooklyn, NY in the 1960's, he went on to build and race some of the quickest and fastest Pontiac powered vehicles in the country. During the 60's and 70's race cars had wild beautiful paint jobs prior to the inclusion and financial backing of corporate sponsors where the cars became rolling billboards with gigantic logos pushing products. Some say this was the demise of the iconic styles, but Bob Gerdes of Circus Custom Paint was without a doubt the foremost painter of race cars in the northeast! 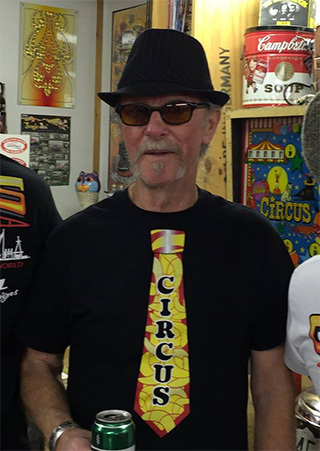 Bob painted many cars throughout the years, but we all remember the likes of "Jungle" Jim's Chevrolet Funny Cars, Ken Poffenberger's Corvair F/C and many more.